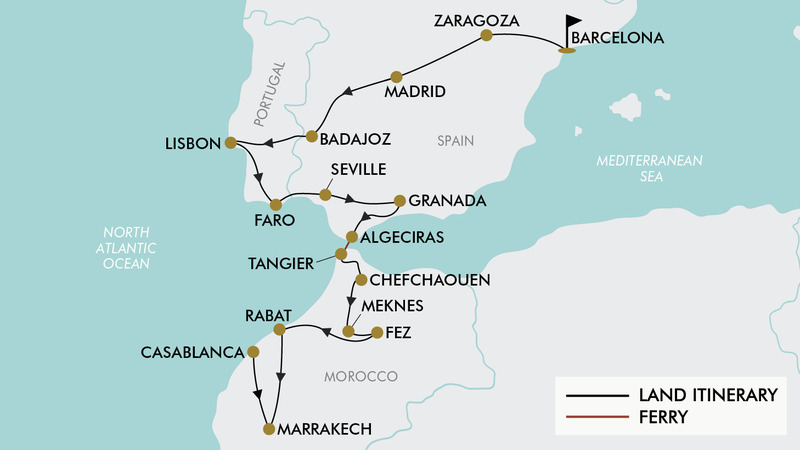 Today depart from Sydney, Melbourne, Brisbane, or Perth for Barcelona, Spain. Fly with either Emirates, British Airways, Lufthansa or Austrian Airlines to name a few (subject to availability). At the appropriate time you will be transferred to Casablanca Airport for your return flight back to Australia. Please note: if your flight departs early, breakfast will be arranged for pick up from the hotel reception the night before. Please note : All additional charges are payable direct to your Travel Consultant in AUD (unless otherwise stated). For solo travellers a mandatory single supplement of $1640 applies. Etihad Airways, Emirates, British Airways, Lufthansa, Swiss Airways, Austrian Airlines, Air France, KLM, Singapore Airlines, Virgin Australia, Virgin Atlantic, Qatar Airways, Thai Airways, Malaysian Airlines, Cathay Pacific, Finnair, Air China, China Southern Airlines, China Eastern Airlines, Turkish Airlines, Oman Air plus any codeshare partners (subject to availability). A tourist visa for Europe and Morocco is not required if travelling on an Australian passport.